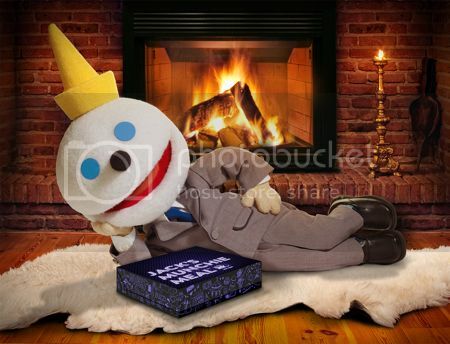 This post brought to you by Jack in the Box. All opinions are 100% mine. They say eating late isn’t good, but there comes a time when we all need to eat late. Whether it’s because we are traveling, work late hours, or spent the night out with friends there comes a time that we need somewhere to stop for a late night meal. I live in a small town, eating out late isn’t possible. We have to jump in the car and drive about an hour before we have late night food options. My crazy sister-n-law calls me up about once a month, and wants to head out of town to grab a bite to eat after everyone is asleep. It’s her break from family live, lol. Naturally I always go with her, we have a blast laughing, talking, and just have a good time being girls. We forget about everything we need to do in the morning, and stay up like we were 19 years old all over again, without the booze lol. It would take us a week to recover, lol. It’s funny I was asked to write this post. It was sent my way for a reason, because on Monday my sister-n-law and I took off for a late night snack, like we normally do, but this time everything fell apart! We left later than normal, which I should have known was a bag idea. We needed a break, both woke up super early, she sent me a text, and away we went at 2am. So once we get to the place we had planned on eating we realized they closed at 2am! GREAT! We decided to do a little looking, get lost, had a flat tie, end up sleeping in the car until my husband gets there at 4am. Then I had to listen to him complain about how our late night trips are crazy, careless, and plain stupid. Now he is late for work, blah blah blah! GOSH, he doesn’t understand! It’s the only time we can get away, it’s not like we go out drinking, and parting. We go eat, it’s not our fault the restaurant doesn’t stay open all night like we needed it too. OH, and get this we found out from my MAD husband that had we driving one more block we would have ran into a Jack in The Box! When my husband told me about the Jack in The Box I laughed, which made him even madder, because he knew what I was thinking. I invited my husband to come eat a late night meal with us, BUT only if he could be nice. Ha-ha, he gladly went with us, but didn’t say anything. Now Marley wants to try all the meals, lol. We do this every month, and she is already plotting our next adventure to Jack in the Box for one of their Jack’s Munchie Meals™. My husband and I had tried these when we were driving through Stephenville, TX several months ago. They truly are the perfect late night meal, and had I know there was a Jack In The Box we would have been heading over there for our late night mom getaways. Stacked Grilled Cheese Burger – This is what Shawn has purchased both times we have been by Jack in the Box late night. He loves the Sourdough grilled cheese on top, Cheeseburger on bottom. Loaded Nuggets – Think nuggets drowning in not one, but two different types of cheese. Oh, and don’t forget the ranch and bacon! Exploding Cheesy Chicken – Think about a chicken sandwich with amazing mozzarella, cheese sticks, and gooey, yummy white cheese sauce. If you love cheese, it’s worth the late night trip! Brunch Burger – This is my favorite, we do this at home and it’s amazing! A burger with a friend egg and crispy has brown. It’s the perfect combo of dinner and lunch! Since our little trip upset my husband so much, and I do understand, I have agreed to not go with my sister-n-law for late night trips. I do understand his point, but good news is we can still run to Jack In The Box at 9pm, be home by 10pm, but ONLY if we bring my husband back a Stacked Grilled Cheese Burger, lol. I love this video, it’s super fun be sure to check it out! 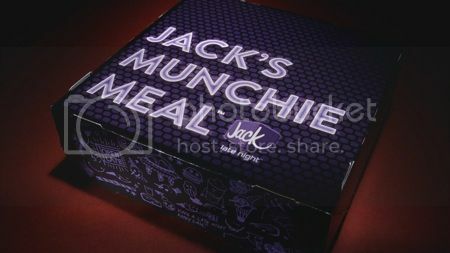 Swinb by the Jack In The Box Website and learn more about Jacks Munchie Meals, be sure to Like Jack in the Box on Facebook, and Follow @JackBox on Twitter. Happy Late Night Eating! It is nice to have a restaurant like Jack in the Box available for a late night snack. I didn't know that there were Munchie Meals only available late at night from 9PM on.